Consistently outstanding image quality. Long-life system reliability. Superior sustainability. Innovative shake-free print system. 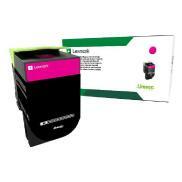 Earn free supplies with Lexmark Rewards. Up to 2,300 standard pages in accordance with ISO/IEC 19798.